« Anthem for Nagasaki available for Download! 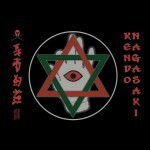 Kendo Nagasaki Mouse Mats Now Available! Power your way through the web with the Kendo Nagasaki “Pathways to Power” mouse mat! Featuring the “Pathways to Power” logo along with Kendo’s signature artwork and name – as well as the Swords and Mask symbol and his imprint stamp – this stylish addition to your desk will inspire your every moment at your computer! With a luxurious fabric top surface and heavy-duty rubber construction, this mouse mat will maintain its fabulous looks for many years to come.